Brooklyn born and raised singer/songwriter Eric Stuart has toured the country either on his own or with such rock legends as Peter Frampton, Ringo Starr, and Lynyrd Skynyrd. He's also opened for such acts as Jethro Tull, Julian Cope, Hall and Oates, and Chicago. 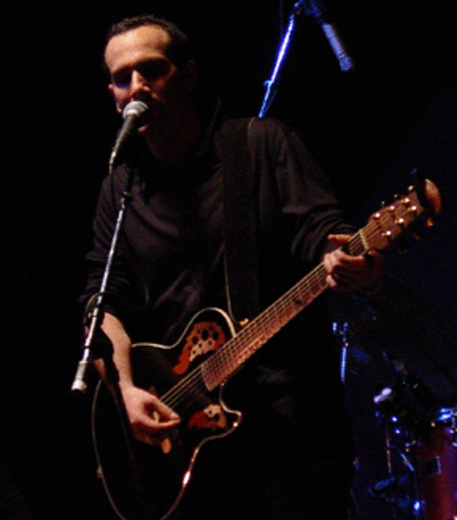 His first full-length album, Curiosity, was released in 1996 on his own independent label, Widow's Peak Records, and was soon followed up in 1997 with Picture Perfect World (EP). that same summer. Since then, Eric Stuart has been touring on a regular basis including two U.S. tours with Peter Frampton. In 2000 Frampton produced Eric's next album, Blue, Dressed In Black along with John Regan and Harvey Jay Goldberg. opportunity to begin co-writing with some of Nashville's finest songwriters. Bombshellshocked on RevUp Records. In 2007, he released his next album entitled In The County Of Kings on Widow's Peak Records. In 2009 Eric Stuart Band released the CD 'Empty Frame Of Reference'. Eric’s last album entitled ‘Falls On Me’ was released March 2011. The Eric Stuart Band will be releasing their 7th full-length album entitled ‘Lipstick And Barbed Wire’ early 2013. You can find the Eric Stuart Band music on many sites including iTunes as well as www.ericstuart.com.